Fundraiser for Greta Gustava Martela by Andre Perez : Help Nina Get Asylum! 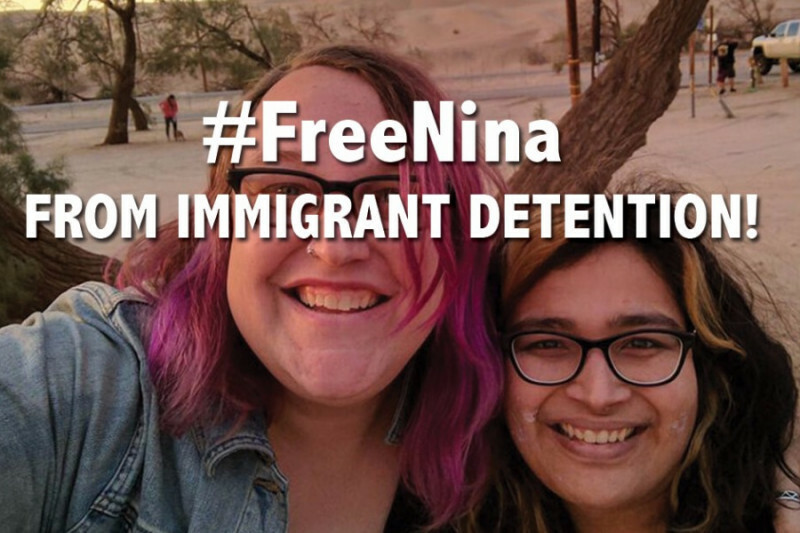 Nina Chaubal, founder of Trans Lifeline and a nationally recognized suicide prevention advocate, has been taken by border patrol in Arizona and put into an ICE custody. Wednesday Dec 28th, the the Border Patrol in Arizona stopped the Trans Lifeline van as it was heading from California to Chicago. Despite her being married to a US citizen and showing her marriage certificate, border police detained Nina, and have held her for 5 days. Nina came to the US from India, where the law cirminalizing homosexuality was upheld as recently as 2013. As a queer transwoman, she came here to be safe and build a life with her partner. Together, they've helped 18,000 people by running the Trans Lifeline, and now they need your help! Help Nina seek asylum so she can stay in the US! This gofundme was set up by Andre Perez, a good friend of thier in Chicago and a Trans Lifeline stafff member, on thier behalf since they are navigating the immigration system. The money will be deposited directly into thier account electronically to be used on lawyer fees and other expenses related to helping her seek asylum. Any leftover funds will be donated to Trans Lifeline. My thoughts and prayers are with you. Stay safe.